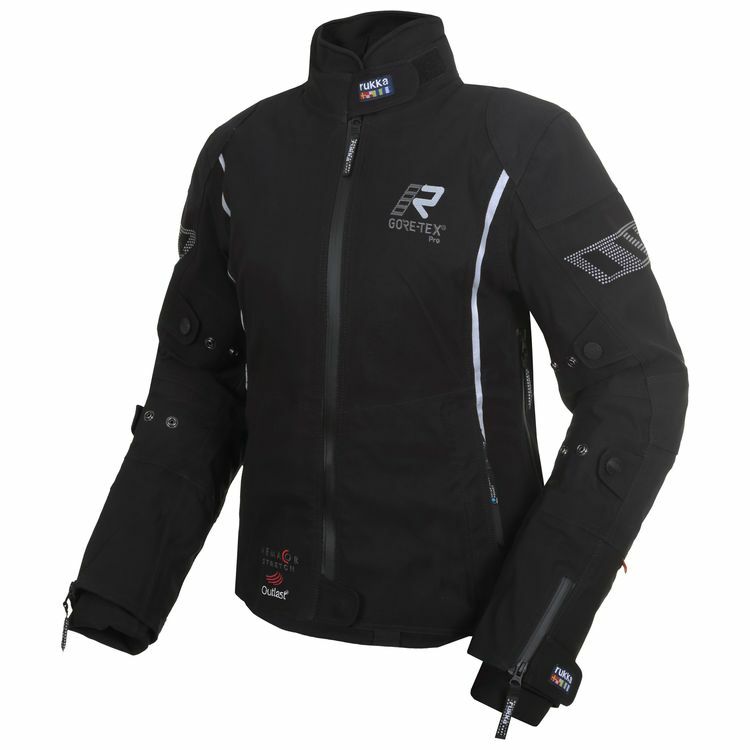 The Rukka Spektria is a touring jacket that for women is 100% breathable, wind- and waterproof thanks to the Gore-Tex Pro 3-layer laminated to the abrasion- and tear-resistant stretch polyamide shell fabric. Block out the cold with the integrated ATS (Anti Thief System) Gore-Tex Stretch collar which can be stowed away in its own pocket. When the temps drop, attach the Outlast temperature regulating thermal liner.